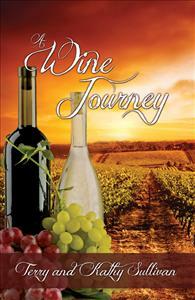 A Wine Journey portrays Terry and Kathy Sullivan’s journey into the world of wine. Discover how they accidently came to the wine world, found the ambiance of tasting rooms and learned about forgotten grape varieties. A Wine Journey describes their winemaking successes. Discover winery heartrending stories of loss and the stories of triumph and camaraderie. A Wine Journey will help you to know what you are missing by driving past all of those winery tasting rooms. Readers discover wine learning options, winemaking possibilities and wine travel destinations. A Wine Journey offers an abundance of ideas that wine enthusiasts will enjoy. A Wine Journey portrays Terry and Kathy Sullivan’s journey into the world of wine. Discover how they accidently came to the wine world, found the ambiance of tasting rooms and learned about forgotten grape varieties. A Wine Journey describes their winemaking successes. Discover winery heartrending stories of loss and the stories of triumph and camaraderie. A Wine Journey will help you to know what you are missing by driving past all of those winery tasting rooms. Readers discover wine learning options, winemaking possibilities and wine travel destinations. A Wine Journey offers an abundance of ideas that wine enthusiasts will enjoy.